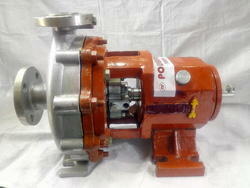 * Suggested for handling and transfer of acid and alkalies. 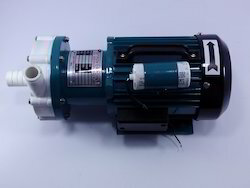 * Electro plating solution circulation & etching solution for electric circuit board. 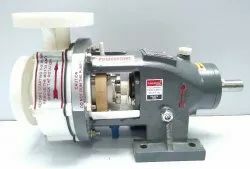 Polypropylene Pump Horizontal Centrifugal Mechanical seal type for handling acids like h2so4,hcl,muratic acid,acetic acid etc in which PP MOC is compatible.WE generally use Glass filled Teflon seals (GFT) for our PP pumps.These pumps are used in highly corrosive applications.They have been fitted with semi open type impellers. 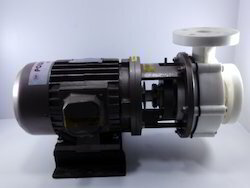 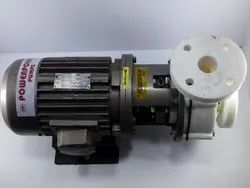 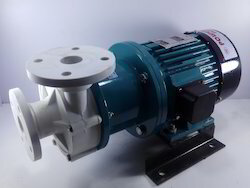 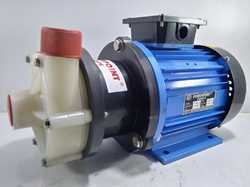 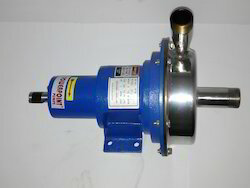 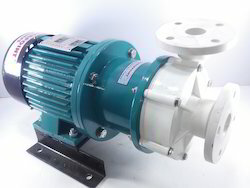 Our magnetic driven pumps are sealless monoblock pumps with SS,PP & PVDF construction(all contact parts).These pumps are used for light acid application handling purposes.Rare earth magnet connect pump with motor.There is no seal and no shaft, hence these pumps are maintainance and hassle free. 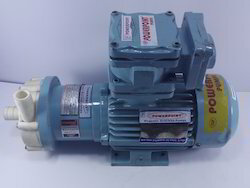 We offer a wide range of flameproof acid handling pumps.These pumps are available in many different matrials of construction like SS,PP,PVDF,PTFE etc.These pumps are used in hughly imflammable conditions. Stainless steel acid transfer pumps are meant for certain acids which are compatible with SS MOC like Nitric acid etc.These pumps are fitted with silicon carbide mechanical seals which can handle 90% of acids.The gaskets used are PTFE.These pumps are made in SS 316 & 316L MOc. 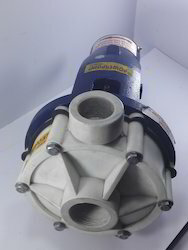 We make Acid Proof Monoblock & Bare Pumps in PP & Pvdf construction for compatible acids like sulfuric acid,hcl etc. 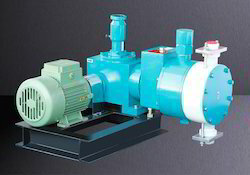 We make sealless acid handling pumps in polypropylene,PVDF & ss construction to handle different types of acids. 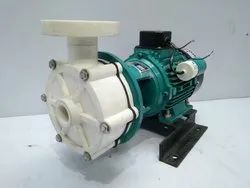 We make SS,PP,PVDF,PTFE construction pumps for Acid Transfer purposes.They can handle highly corrosive acids like nitric acid,phosphoric acid,hydrochloric acid,sulfuric acid,acetic acid etc. 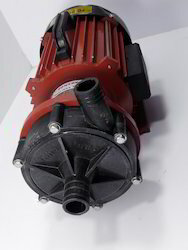 We make Polypropylene pumps which are centrifugal type horizontal pumps fitted with mechanical seals & ceramic sleeve.They pumps are mainly used in acid transfer purpose.Some of the sizes are also available in monoblock versions. 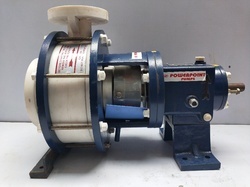 "POWERPOINT" seal less magnetic pumps are fitted with rare earth magnets which allow the motor to move the pump impeller.These pumps are maintenance free to some extent due to the absence of mechanical seal inside them.Available in PP,PVDF,SS MOC. 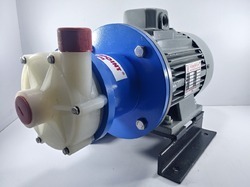 "POWERPOINT" acid circulation pumps are made in pp,pvc,ptfe or pvdf moc.These pumps are fitted with mechanical seals as well as seal less version also available.Used for hazardous and corrosive applications. 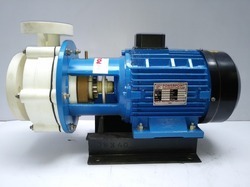 We have an exclusive range of our brilliantly planned Acid Pumps that are accessible in a various sizes. 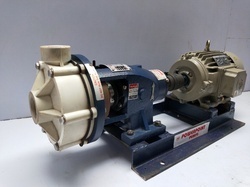 With the assistance of vendor's masters, these Acid Pumps are made utilizing better-quality material and propelled apparatuses. 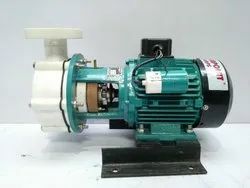 In accordance with exhaustive quality norms, our given extent might be adjusted effectively as per different necessities of the customers. 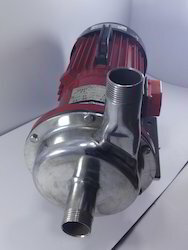 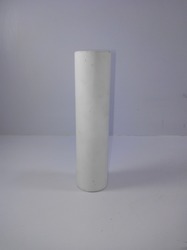 Pipe size 1.5" x 1.25"
Pipe size 2" x 1.5"
pipe Size :1" x 1"
"POWERPOINT" PVC pumps are PP Pumps used for acid handling purposes. 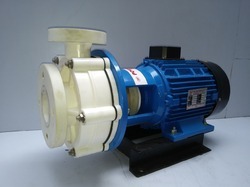 Looking for Acid Pump ?